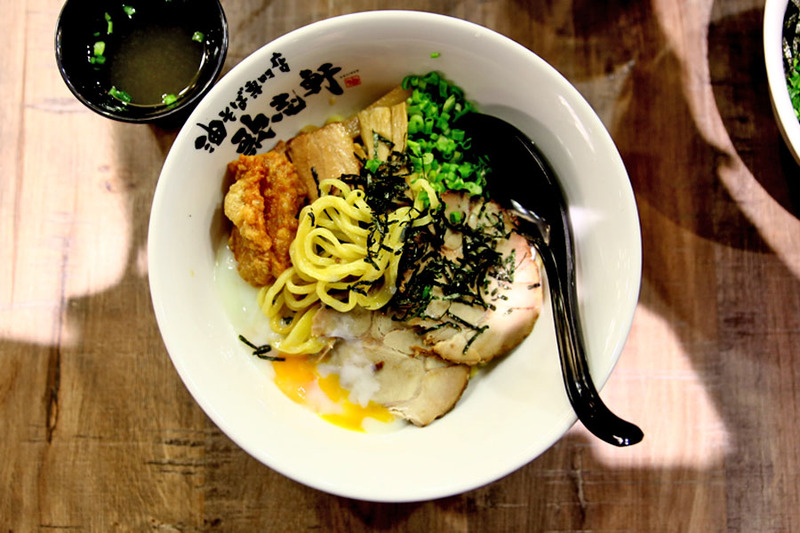 Singaporeans are typically fond of their tonkotsu-style ramen, and some may still be unfamiliar with Mazesoba. 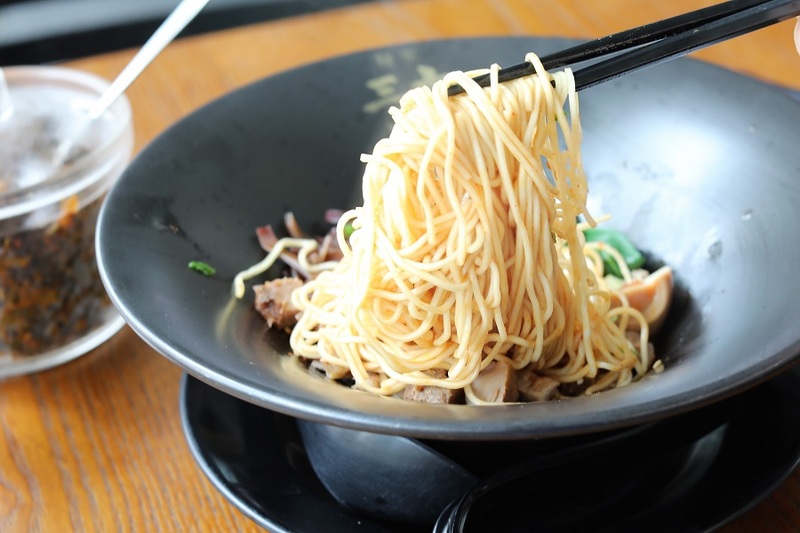 Some people describe this as ”Japanese Bak Chor Mee” – not that wrong either. 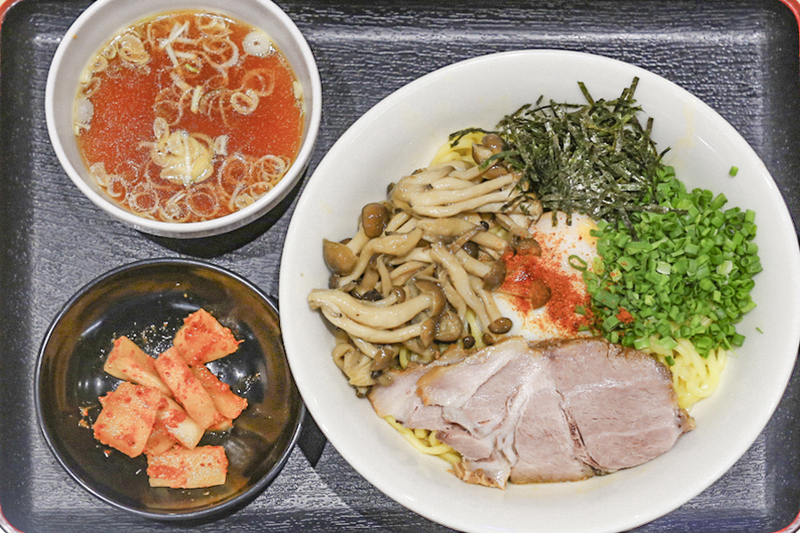 Mazesoba, literally translated as “mixed noodles” is a type of broth-less ramen, particularly popular during the hotter summer months. 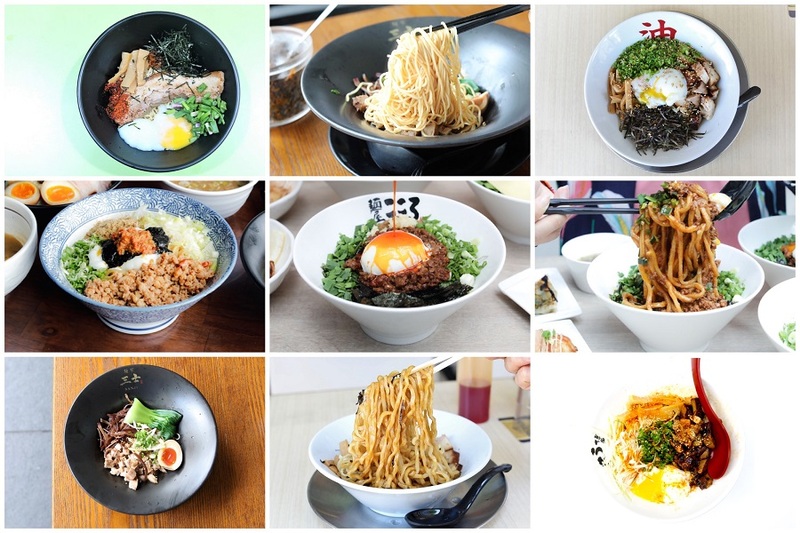 So even though there is “soba” in its name, the dish is technically “ramen”. To me, the appeal in the noodles is about the mixture of all toppings and sauces. Even though there are many ingredients and so much going on, when all are mixed together, they create this complex but blended flavour with satisfying mouthfeel. Mazesoba can be explained as dry Japanese ramen (or Japanese gan mian), in which “maze” means “to mix”, and “soba” means “noodles”. 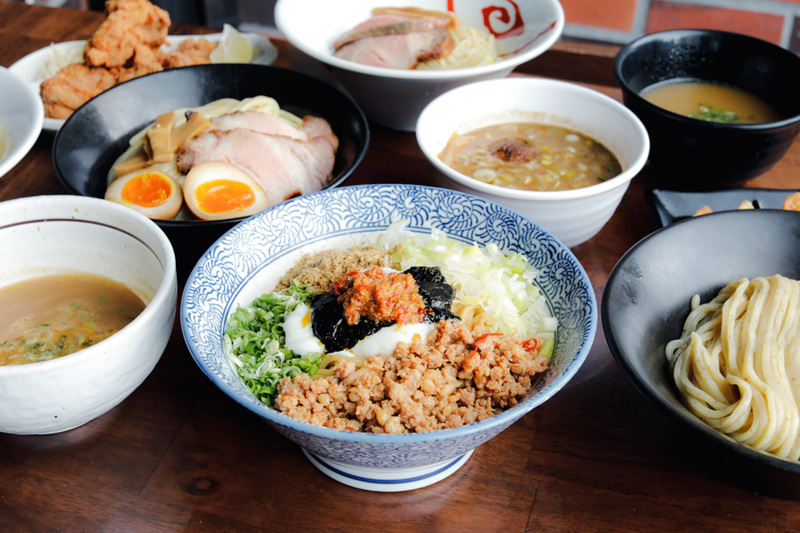 The Japanese dry ramen brand has opened 27 outlets worldwide within a short number of years, including Japan, Indonesia, Spain, Thailand and Vancouver, and looks set to expand further. 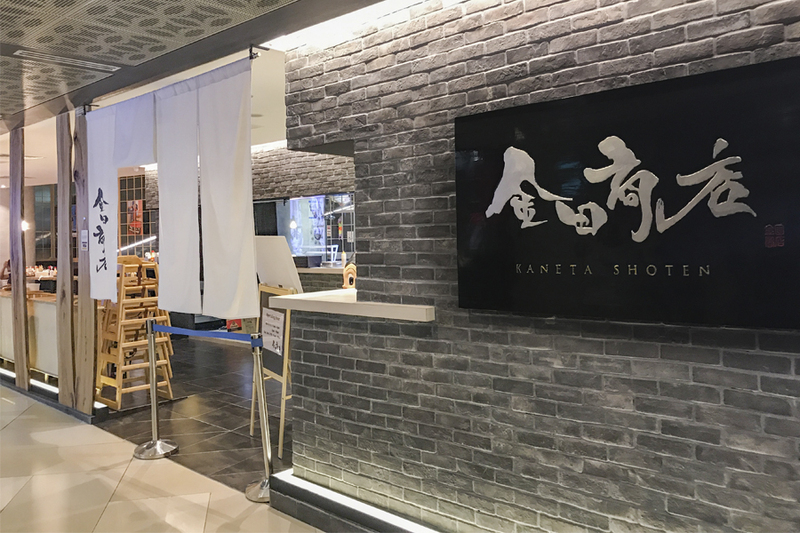 The local store in Singapore is helmed by the founder Chef Takuma Ishikawa himself, who trained under the originator creators of Mazesoba, and once won the Best Mazesoba Award in Japan. Therefore, you will be assured of the ‘Japanese-quality’. 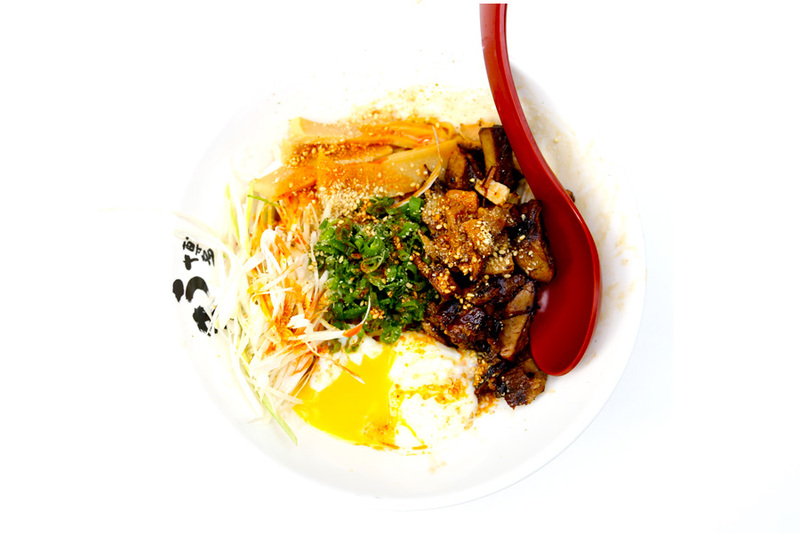 The Spicy Maze-Soba ($11.80++) is my favourite bowl, but the spiciness is likely to divide people. 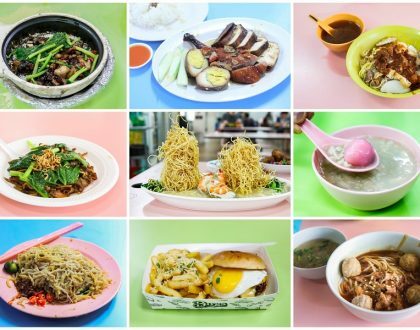 Some of us shared this bowl – a couple enjoyed the kick, the shiokness which result in some sweat to break out. There were others who thought this might have been too fiery for their liking. 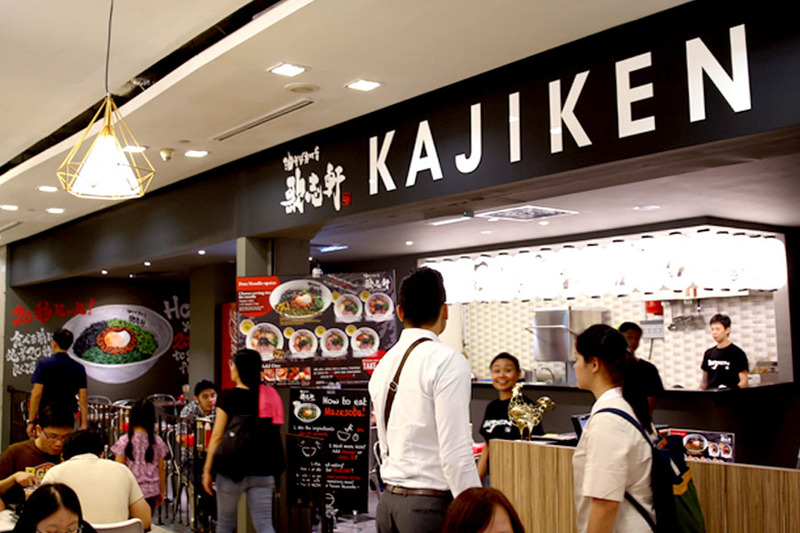 Kajiken at Orchid Hotel is the first shop dedicated to selling just Mazesoba in Singapore. 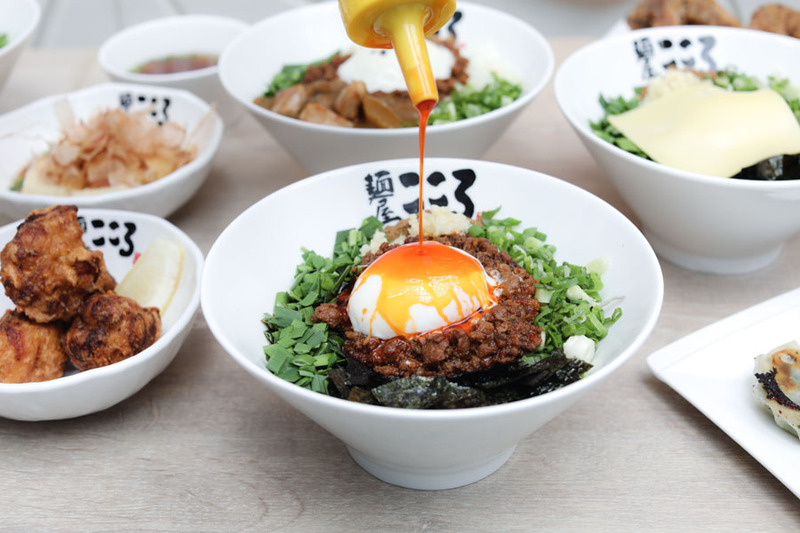 Its signature dish is Mazesoba Nagoya Style ($12.80), in which dry ramen noodles is mixed with spicy minced pork, soft boiled egg, seafood and chopped vegetables. The mix of sauce reminded me of the Taiwanese style of Dan Dan Mian, with a mild level of spiciness that doesn’t overpower the other ingredients. 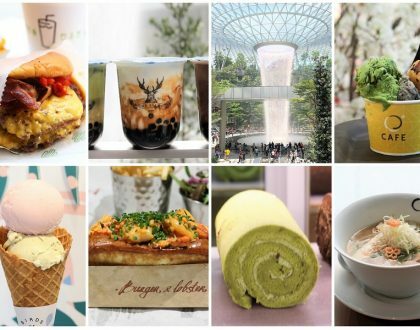 Yet added with that umami mouth-feel as you take bites. I liked the addition of chopped vegetables and egg – one provided the occasional crunch and refreshness; the other a layer of stickiness between the noodles. 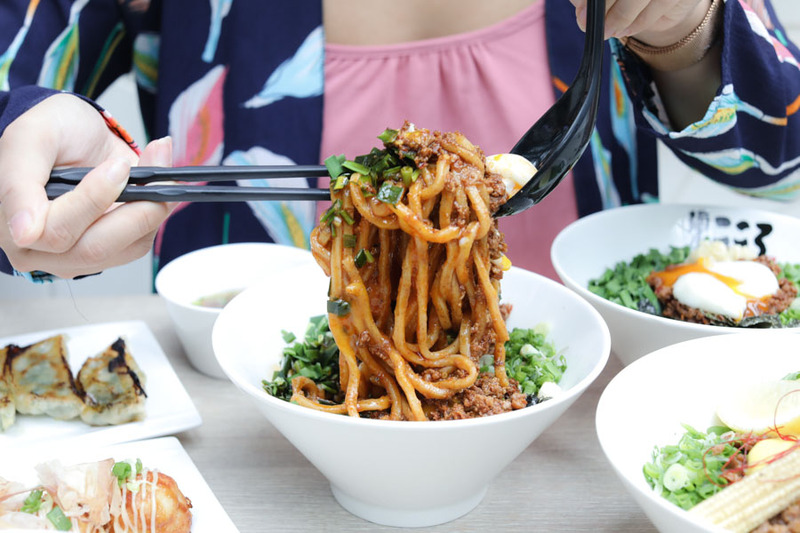 The Chef Horikawa Maze Soba ($12.80+) is created after a 3-way collaboration between Tsukemen Masters Chef Tomiyama and Chef Ohashi from Japan; and Chef Horikawa from Ramen Champion. Chef Horikawa uses his original maze soba sauce blend to bring the authentic taste of classic Japanese maze soba. Accompanied with sliced spring onions, spicy minced pork, matchsticks of nori seaweed, creamy mentaiko, a dollop of mayo, and topped with an onsen tamago. Break the runny egg yolk to make your maze soba creamier and milder in spice. Toss the ingredients together to create a gloopy mix before you dig in. 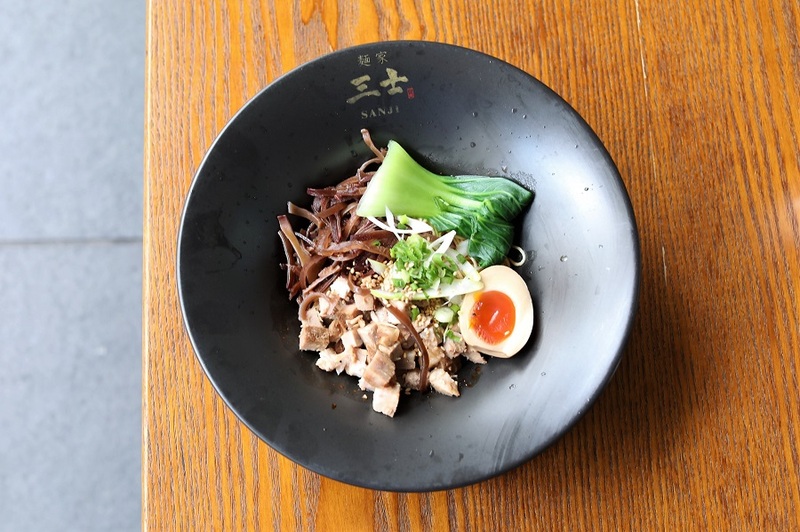 The signature Kaneta Mazesoba ($13.90) is a truffle scented dry ramen with special sauce. I find the pricing reasonable (some ramen are quite ridiculously priced nowadays), especially when this comes free up size, free eggs and free flow pickled spicy pineapple. There was a good mix of flavours and texture, from the spicy minced pork and soft mushrooms. The truffle does not ‘hit’ you immediately, but comes as a subtle aroma upon every bite. 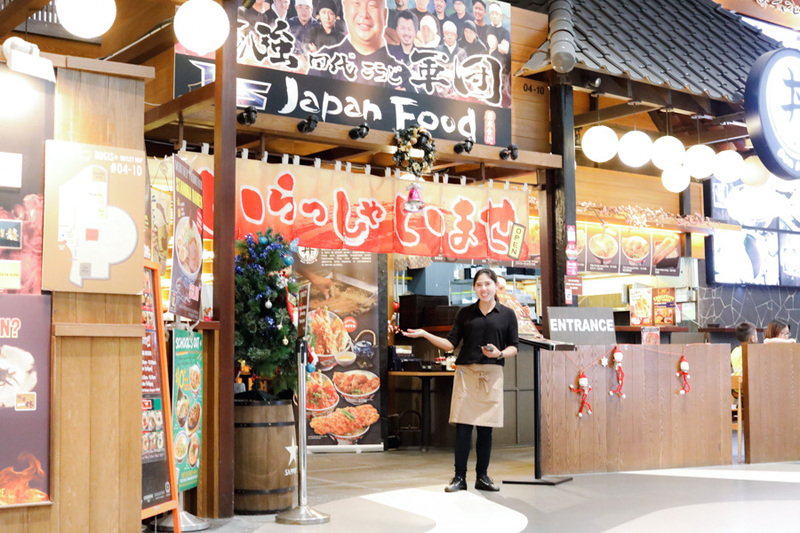 A brief background of Uma Uma Ramen: A ramen chain from Fukuoka Japan, established n 1953, its name a play on “umami”, and Singapore’s Forum Galleria outlet is its first venture overseas. 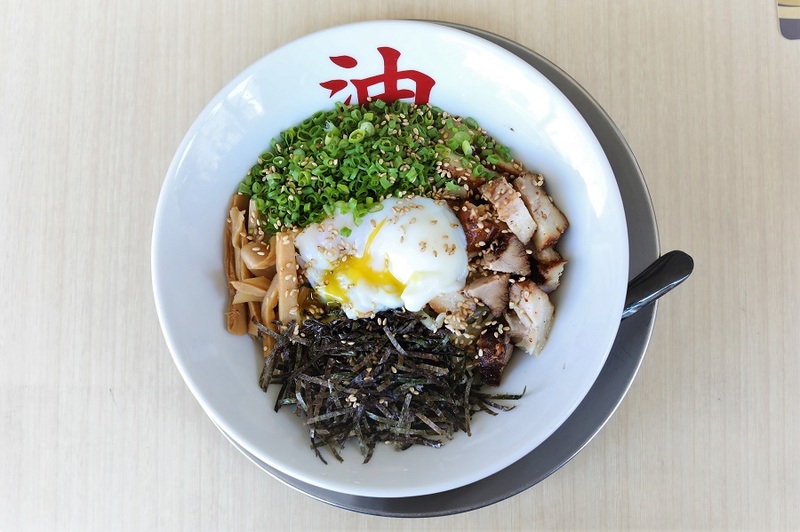 The Mazesoba ($17) contains springy noodles added with chasiu, bamboo shoots, leek and sprinkling of spring onions. You may get hooked on the sauce. There is also a vegetarian option with chasiu at $15. 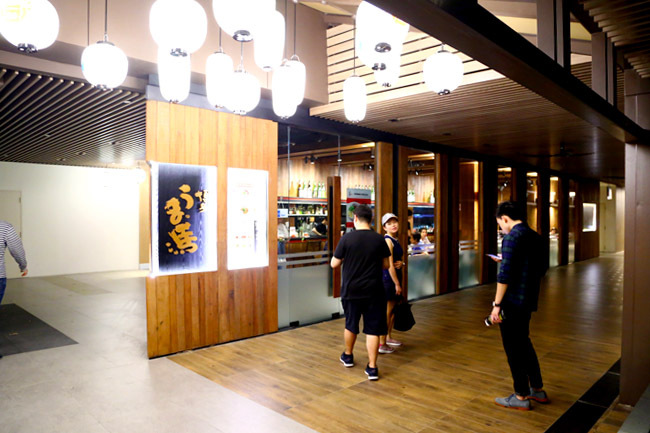 Menya Sakura at Orchid Hotel Tanjong Pagar (previously at 64 Boat Quay) is the group’s first outlet in Singapore, and it specialises in Nagoya-style ramen. 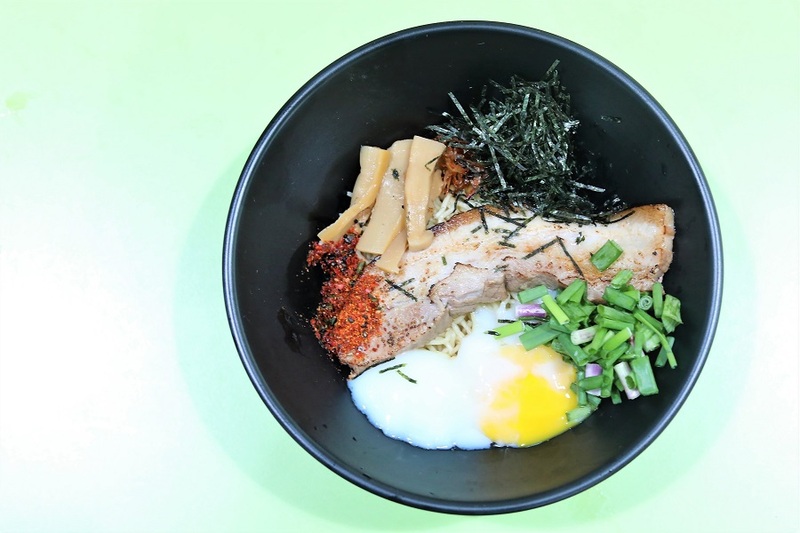 Its Abura Soba ($9.90) is affordably priced, containing cubes of pork char siew, bamboo shoots, spring onions and ajitama egg. There is also a Spicy Abura Soba version ($10.90). The special blended sauce at the bottom is made with 3 different soy sauces, and tasted refreshing and ‘clean’. Another ramen store found at Orchid Hotel. Menya Sanji serves up Japanese style Sanji Mazesoba ($9.80++) topped with stir-fried pork, half and egg and vegetables. 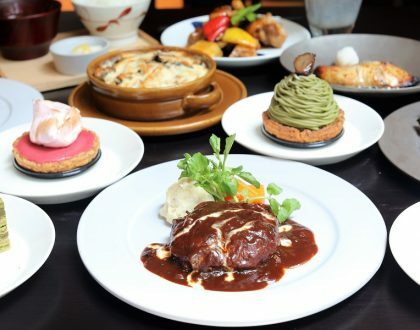 Its special components are the tasty soy sauce base, mixed along with spicy miso sauce. The accompany soup is said to be cooked for 20 hours in Kagoshima before being imported into Singapore. It is not that common to find Mazesoba sold in a food centre. 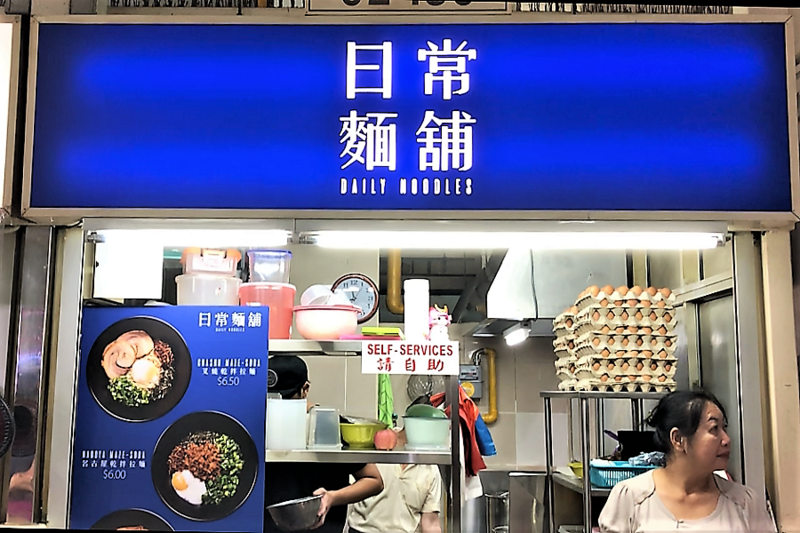 The stall-owners behind Daily Noodles wanted to sell their noodles at a price range in which everyone can enjoy. 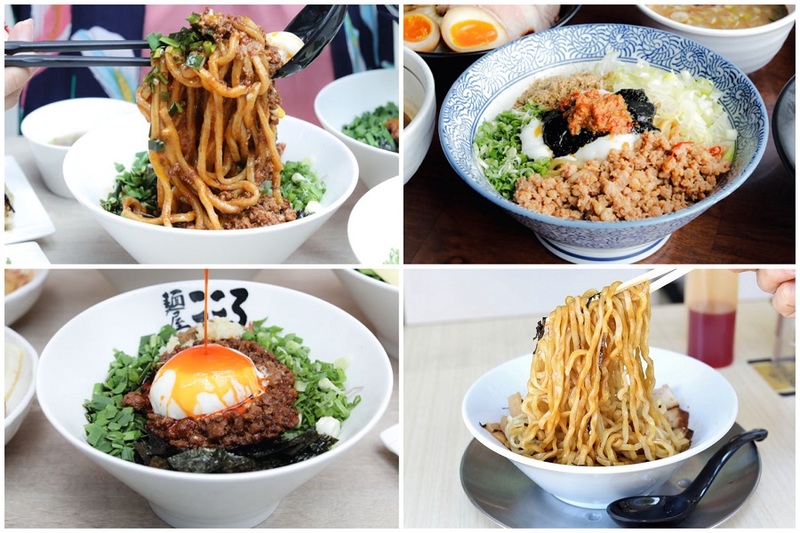 Their Nagoya Dry Ramen is sold at an inexpensive $6.00, containing springy noodles, toppings of minced meat, fried shallots and runny egg. 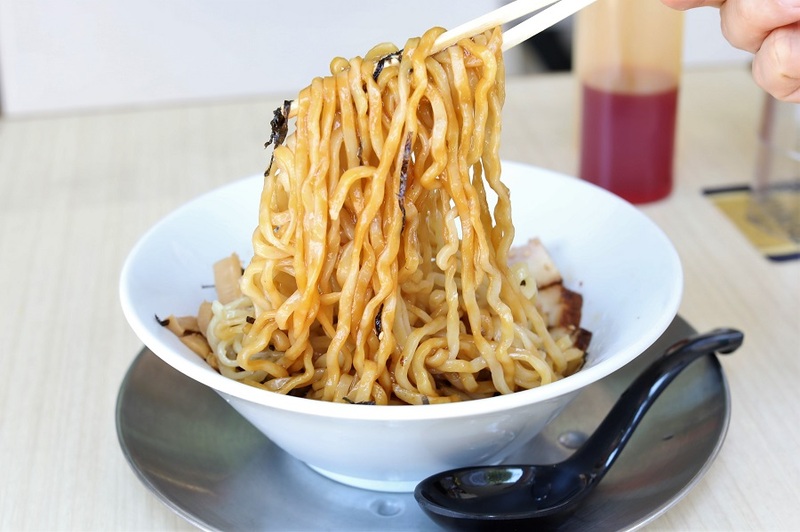 Tip: add a sprinkling of vinegar, and it would taste even more like ”Bak Chor Mee”. I would personally recommend the Chashu Mazesoba ($6.50) which includes slices of pork belly with smoky flavour.